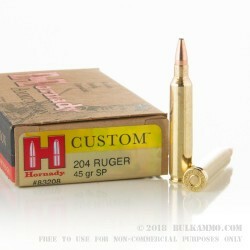 With its staggering muzzle velocity of 3,625 fps, this 204 Ruger cartridge by Hornady is optimal for finicky and far away varmints under 50 pounds in weight. 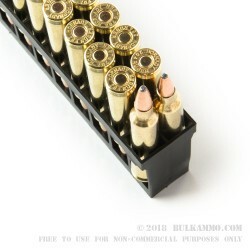 It features a 45 grain bullet, soft point of which provides stable aerodynamics in flight and mushrooms on impact to practically explode small, soft targets. The bullet’s match grade jacket is designed to provide optimal accuracy at all ranges, as well as controlled expansion even after its velocity has tapered off after a long distance in flight. 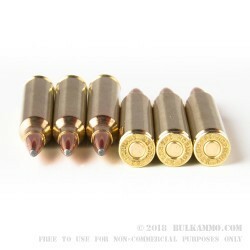 This cartridge comes in a non-corrosive Boxer primed brass casing, and is fully reloadable. The ground squirrels won’t stand a chance. Each of these cartridges is thoroughly hand inspected after they are loaded to provide optimal pressure and consistency. 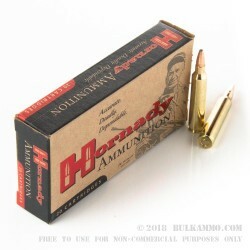 Whether the Nebraskan company is catering to the needs of hunters, self-defense enthusiasts, or even zombie hunters with their Zombie Max line of ammunition, Hornady always makes a reliable and high performing round.